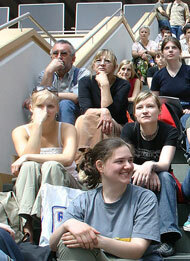 At the Viadrina a new Campus-Management-System was implemented of which you can benefit now as well. Use viaCampus as your cockpit to study, because our aim is to gradually replace the old HIS-Portal and unite all Online Services. In order to use the Hisportal and the wireless internet of the university you need a valid e-mail account at Viadrina. When enrolling at university you will receive the information to access your e-mail account. Please take note that even though you may not be using the account, you will have to change your password regulary (at least once per semester). Otherwise the account and with this the access to the other functions will be blocked!